Newly renovated house. 1 master room for rent. Everything you need are new. No landlord & No agent fees!! *Rooms - New aircon. New foam mattress. New wardrobe. New queen size bed frame. *Toilets- Newly renovated and comes with rain shower. *Kitchen- Everything new. Kitchen is equipped with microwave, conventional oven, washing machine and fridge. 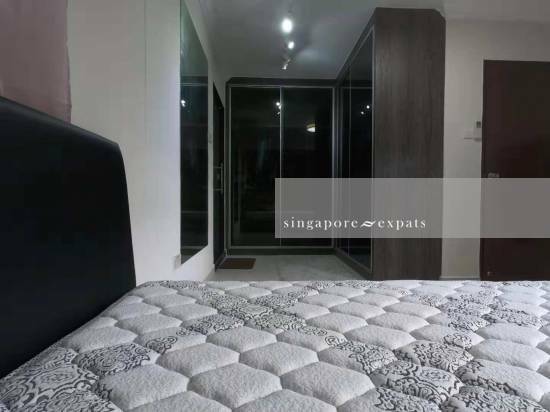 *Direct access to TPE which connects to Changi Airport. *Very near to 24 hour coffee shop and convenience stores. Home owner prefers single, non-smoker occupants. If interested, please send the following information. Name, Age, Nationality, Current visa type.